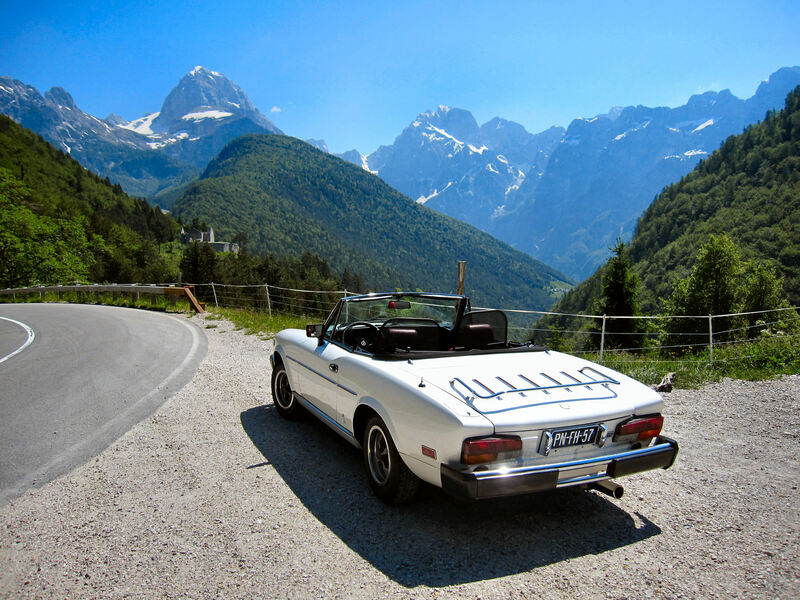 Iconic contemporaries of our iconic Fiat 124 Spider. From my website SPIDERSWEB.NL. THREE DAYS OF LOVE & PEACE ( click for more details ). 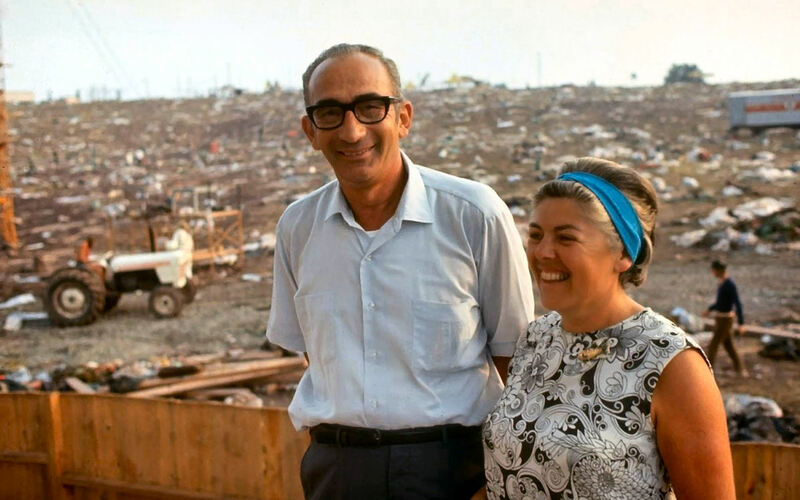 After the deal with farmer MAX YASGUR, the organisation got down immediately but the Bethel residents had read about the worries in WALLKILL: drugs, traffic, sewage and water. Public fury mounted once more. 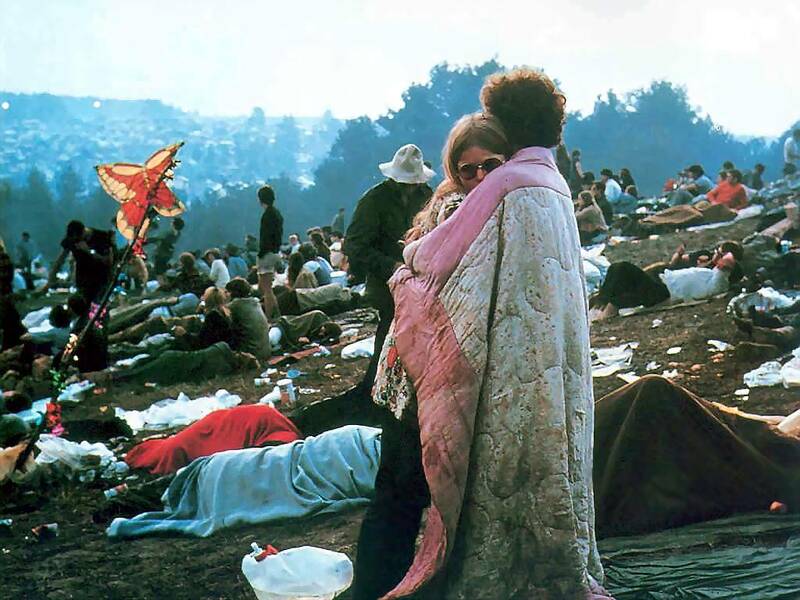 They did not like at all the perspective having ten thousands of HIPPIES in their backyard. A variety of attempts to stop the festival, failed. 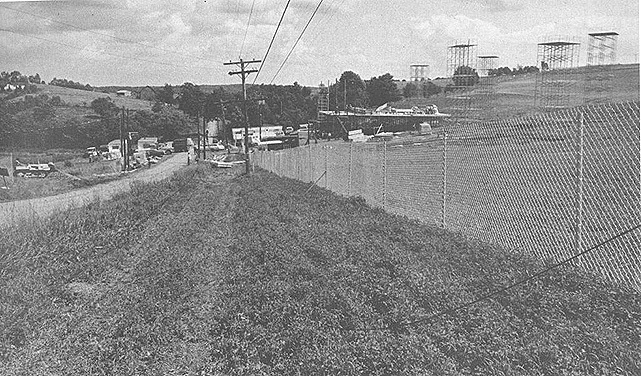 The opposition plotted a last-minute strategy to stop the show: a human barricade across Route 17B on the day before the concert. 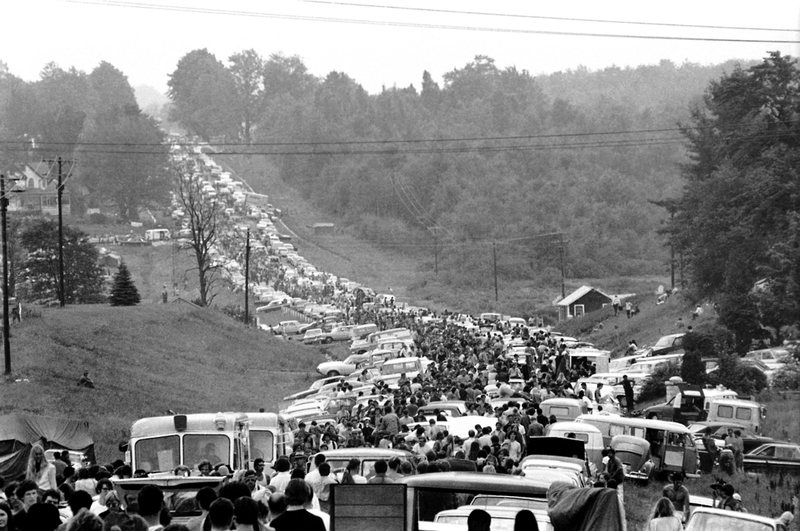 As soon as this news was on national radio the consequences were disastrous: from Tuesday on THE ROADS TO BETHEL were crowded with people on their way to the concert. The TRAFFIC JAM just grew spectacular in the course of the week. 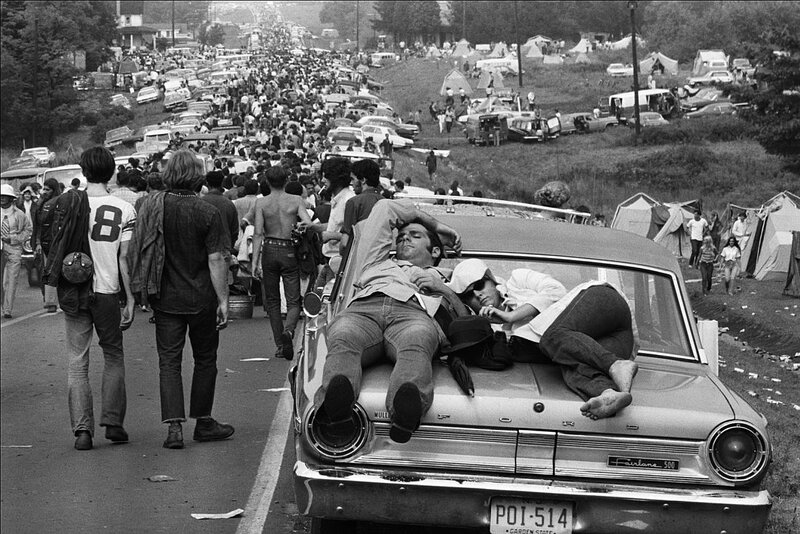 Spectators just left their cars everywhere and camped in gardens and on the festival grounds. 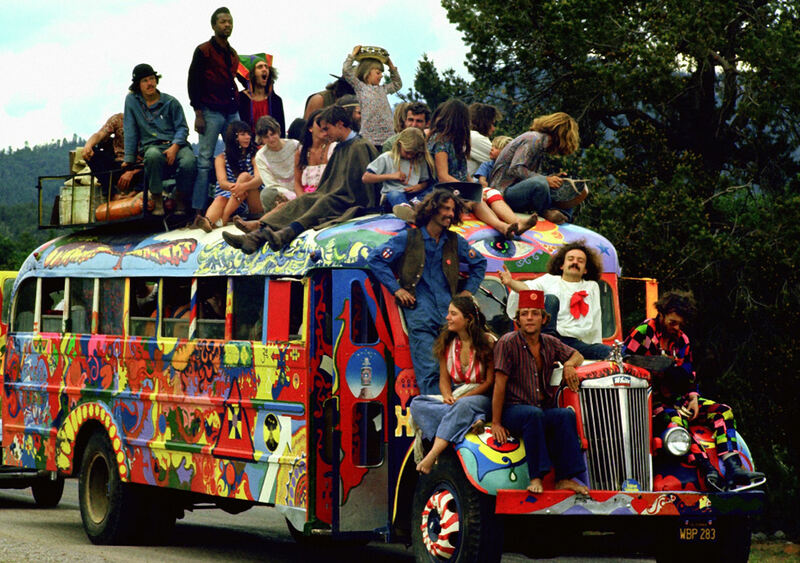 Woodstock's momentum was accelerating like a runaway train. At that time, it had progressed so far, any kind of order to stop it would have just resulted in chaos. On Thursday the organisation found out, that it was absolutely impossible to move the two dozen ticket booths into position because there were already more than 100.000 people walking around, too many cars and abandoned (vacant) tents blocking the way. 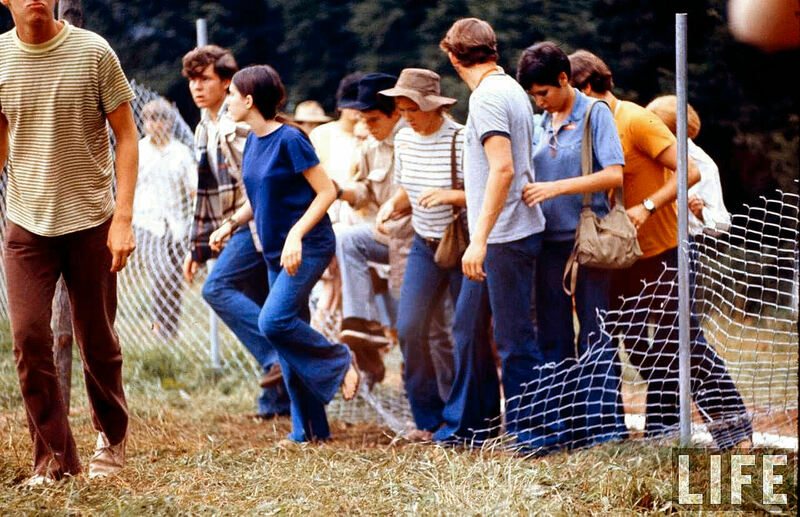 "My most vivid memory was that there was this chain-link, CYCLONE FENCE that went all the way around," said Bert Feldman, who was working security on the hill near the Hog Farm base. "I had the uncanny feeling that there were 500 million people there. Suddenly, the fence was no more. TRAMPLED into the mud. It disappeared like magic." 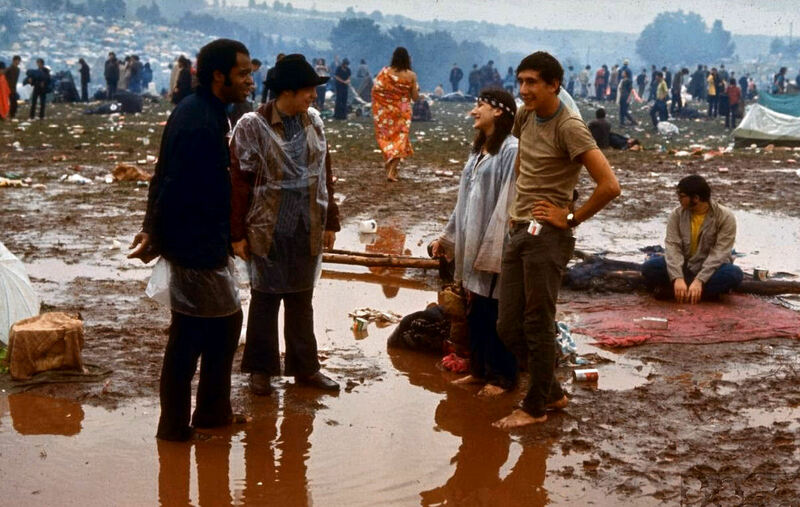 Organizer and promoter Michael Lang said he never exactly decided Woodstock would become a free show. But he did decide to make the announcement. "It was kind of like stating the obvious," he said. 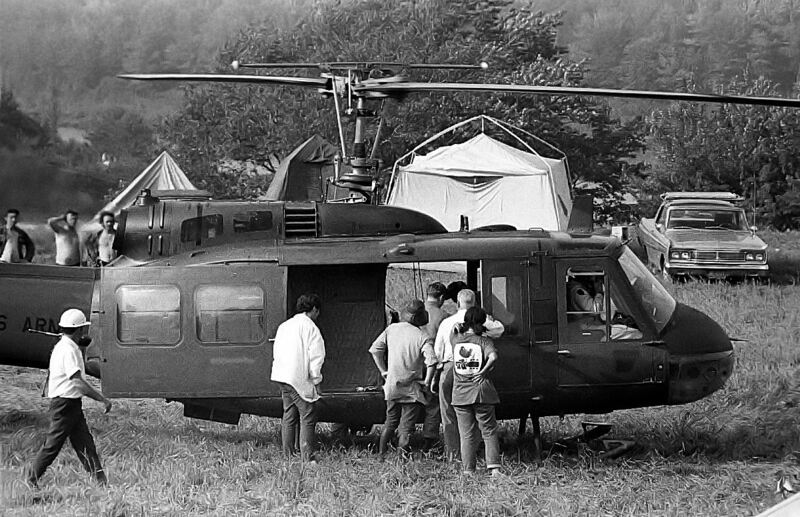 And because of the complete inaccessibility to the grounds in a normal way, all the artists had to be flown in BY HELICOPTER. 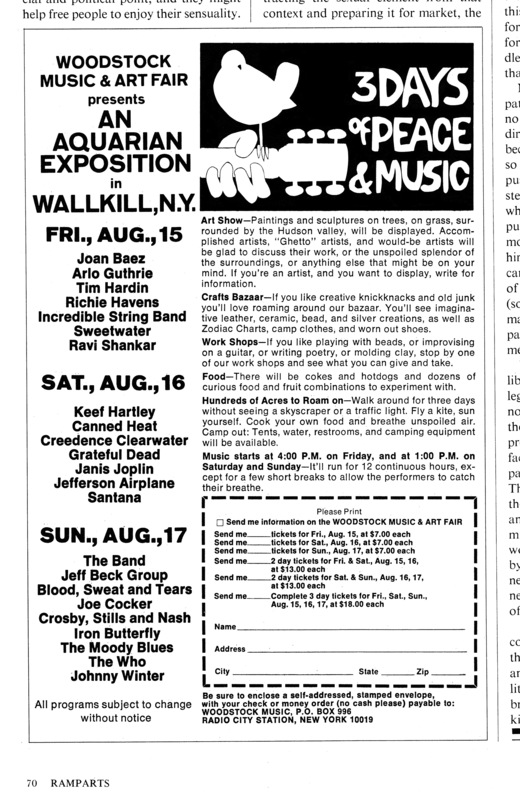 The festival should have started on Friday late in the afternoon, but around four o'clock the completely stoned Tim Hardin and folksinger Richie Havens were the only artists present. 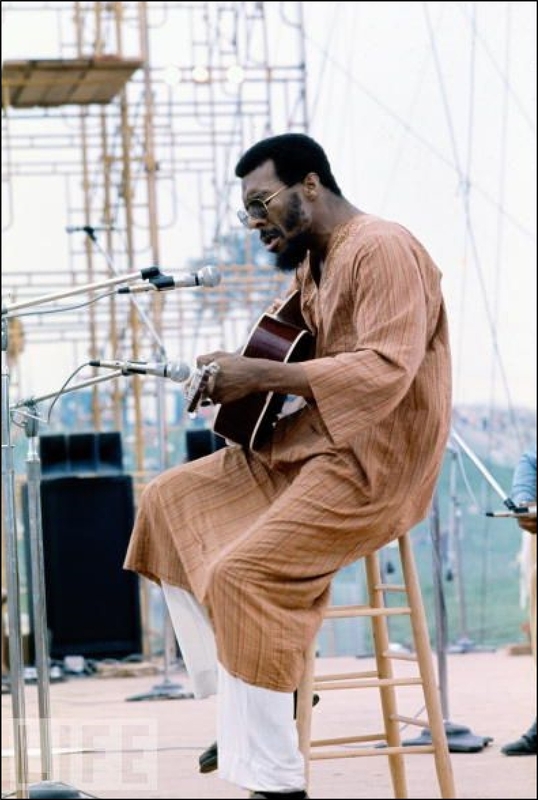 The organizers decided that RICHIE HAVENS just should start and continue to play till another singer or band would arrive. Finally he played more than two hours, before Coutry Joe was pushed on stage. 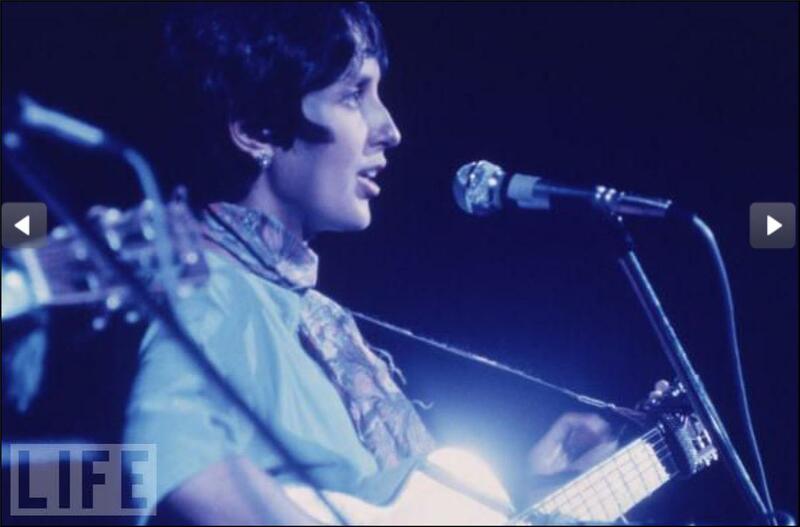 In turn he also improvised through his repertoire as long as he was able to and was relieved hastily by John Sebastien (of Lovin' Spoonful) who happened to be around as a spectator. 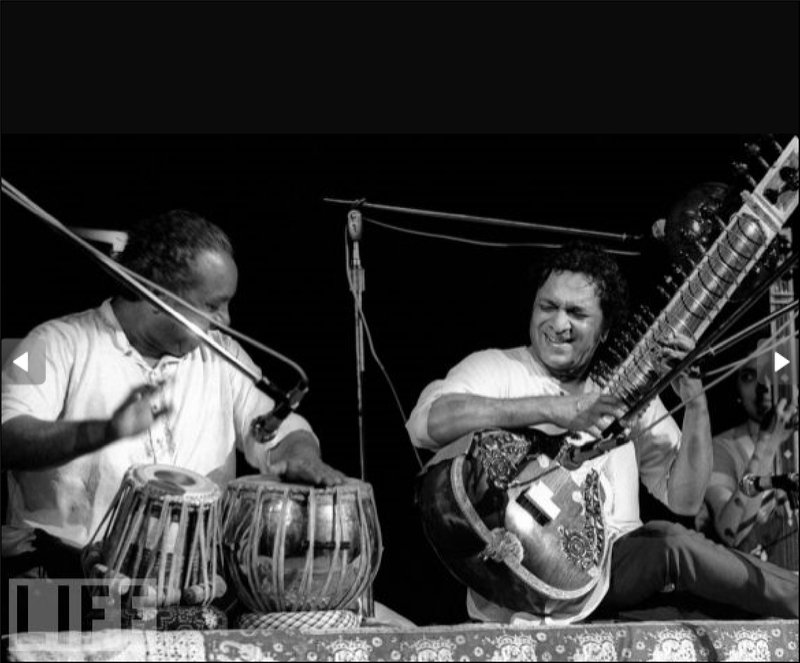 Later on bands like Sly & The Family Stone, the Indian sitar player RAVI SHANKAR, JOAN BAEZ and MELANIE followed. This last singer made her appearance during a kind of mini-hurricane that turned the grounds and the entire area at 3 a.m. in the morning into an inconceivable PUDDLE OF MUD and clay. The shock and bewilderment about the gigantic rain flood was total and a lot of spectators were living in the days that followed in a nightmare. The scenes made one think of a REFUGEE CAMP rather than of a summer festival. Army units provided on a voluntary basis the declared disaster area of food and medication. Couples lost their children, many did not find again the car of their parents and others lost consciousness because of drinking acid-water unsuspectingly. 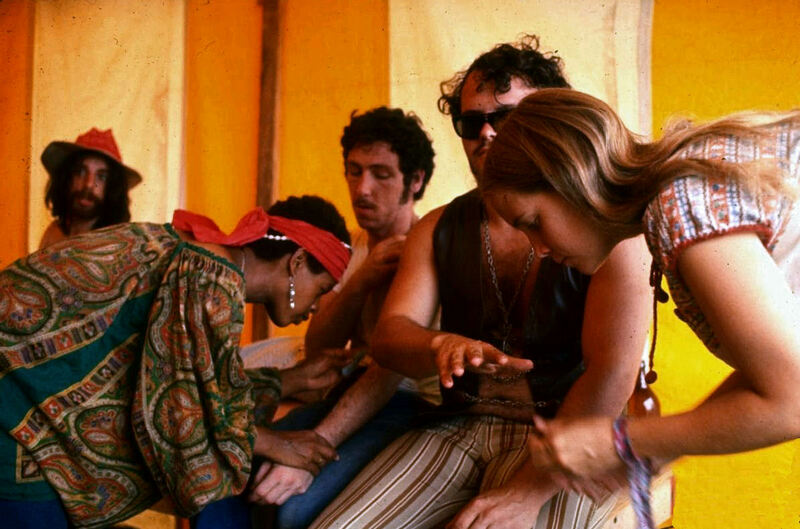 The MEDICAL CARE TENTS were flooded by people who stepped on pieces of broken glass and above all by drug victims.